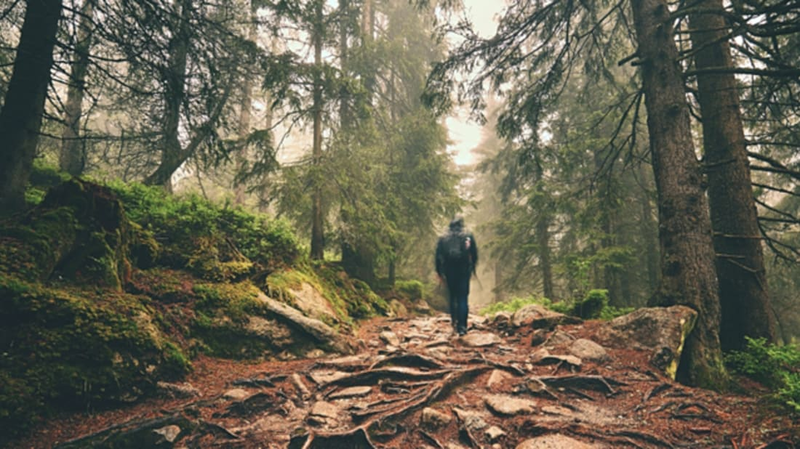 Scientists in Switzerland are developing drones that can pick out forest trails as skillfully as an expert hiker. The drones use a color camera to identify footpaths through wooded areas and are equipped with deep neural network software (the same technology that allowed Google Deep Dream to create those nightmare images) that has been programmed to recognize the signs of a trail and to avoid overhanging branches and vegetation. Though the drones are still in development, they could one day help rescue teams find lost hikers. According to Entrepreneur, the artificially intelligent drones are a step up from others because they are able to fly below the tree canopy, keeping close to hiking and biking paths where travelers are most likely to get lost. They are also autonomous and can even identify overgrown paths better than some humans. "Interpreting an image taken in a complex environment such as a forest is incredibly difficult for a computer," explains Dr. Alessandro Giusti, one of the researchers from the Dalle Molle Institute for Artificial Intelligence working on the project, in a press release. “Sometimes even humans struggle to find the trail!" Researchers believe that, eventually, drones will work in conjunction with search and rescue teams to reduce the workload of rescue workers and help hikers get rescued faster. “Many technological issues must be overcome before the most ambitious applications can become a reality. But small flying robots are incredibly versatile, and the field is advancing at an unseen pace,” says Luca Maria Gambardella, director of the Dalle Molle Institute for Artificial Intelligence. “One day robots will work side by side with human rescuers to make our lives safer."